Following are several questions to consider when asking yourself whether you will benefit from the assistance of a professional real estate agent. 1. Do I have the time and resources to research the market? 2. Do I have the knowledge to integrate and understand the information available? 3. Can I research, compile and analyze public information into useful data that can help me accomplish my goal of home ownership? 4. Do I have the expertise to negotiate price, terms, and other items on my own behalf? 5. Can I find a qualified home inspector, attorney, lender and other real estate professionals needed to assist me? 6. Do I have the time to research the home loan programs available in the market? 7. Do I have the time to interview mortgage loan officers and keep in touch with them with the correct communication throughout the contracting period to complete the loan process? 8. Do I have the time and expertise to target market for the property I am looking to purchase? 9. Do I know the zoning regulations and building codes pertaining to residential real estate in the area I am interested in moving to? 10. Do I know the neighborhoods, condominium complexes, HOA rules, municipal services, schools, hospitals, amenities and all other nuances with the property? 11. Can I prepare a purchase agreement to protect my interests? 12. Do I know the contingencies I would need to have to make sure the property is what I think it is? 13. Do I possess the knowledge to review the title commitment and other legal documents? 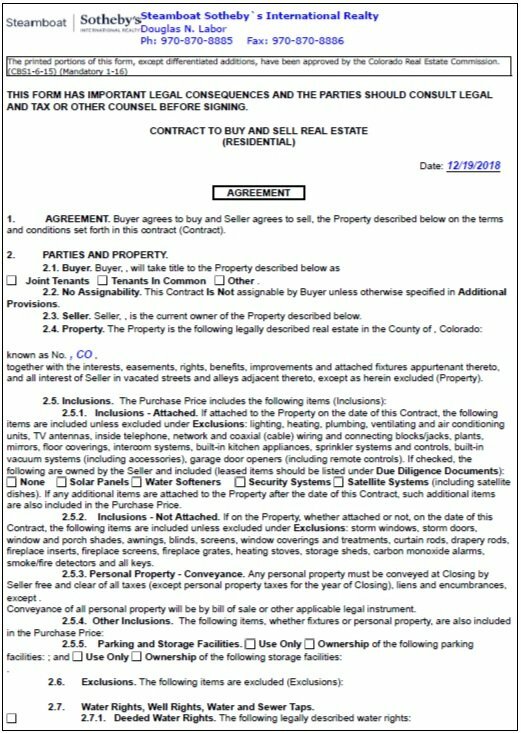 I am an expert in the Steamboat Springs real estate market. I pride myself in lending my 35+ years of professional experience to assist buyers in locating the best property that meets their needs, then help them negotiate the lowest price and best terms. There is more to negotiating a real estate purchase than just price. Each and every contract I draft for clients includes substantial due diligence to make sure there are no post-closing surprises. Buying any real estate property is a complex occurrence. Having a professional looking out for your best interest is the only way to guarantee you will be happy with your property. I will save you time and money in your purchase, and there is no additional fee for my services.